This item is itended to be used to create negatives on transparency sheets to burn images onto silk screens. You will need a 3rd party software to print all black (not included). Manufactured in ISO 9001:2000 Certified Factory! 100% compatible with EPSON printer with NEW Auto RESET Chip! This system uses Sponge Less Cartridges.From now on, ONE set of cartridge for your printer is all you will ever need. Reduce your printing cost up to 90%. With this system you will never need to buy cartridges again. - High quality, low cost. 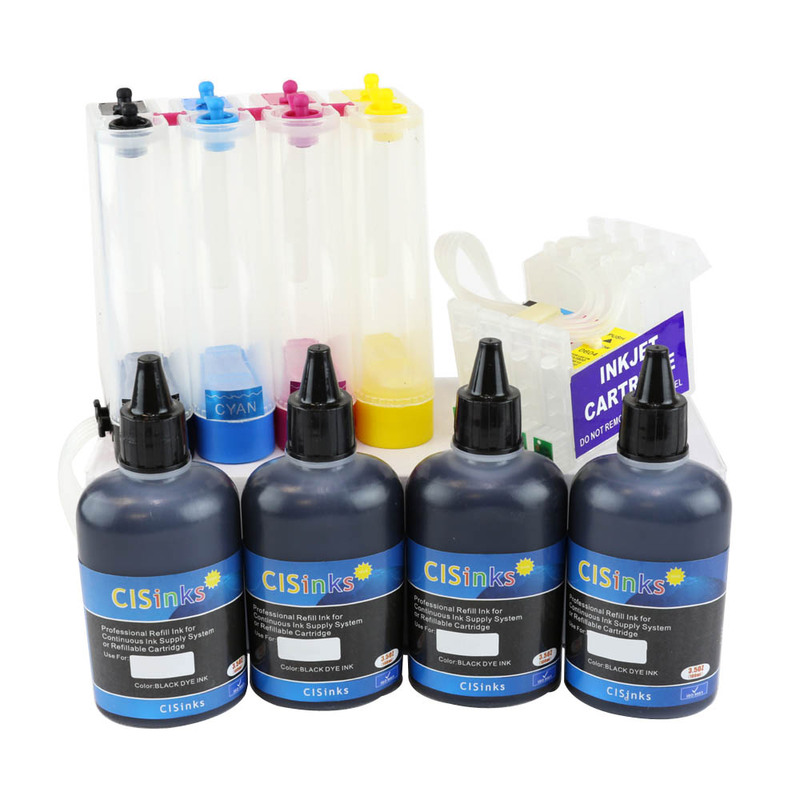 Reduce the printing cost by 90% compare with the original inkjet cartridge.